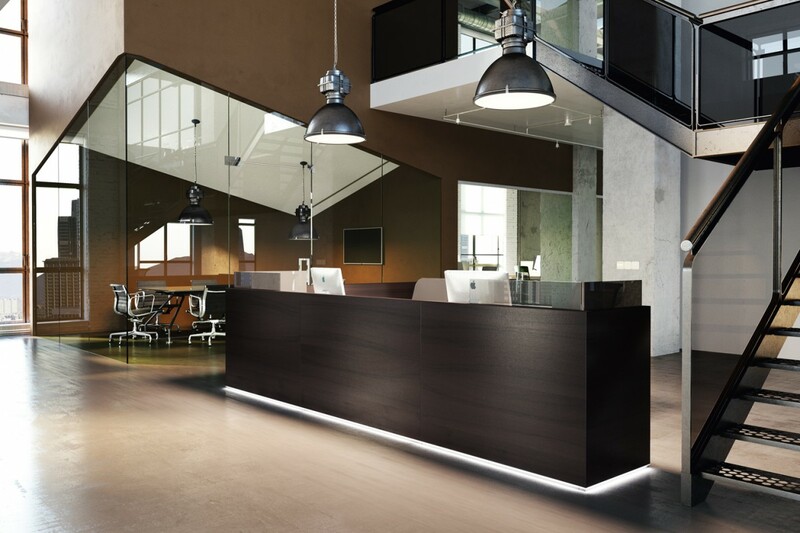 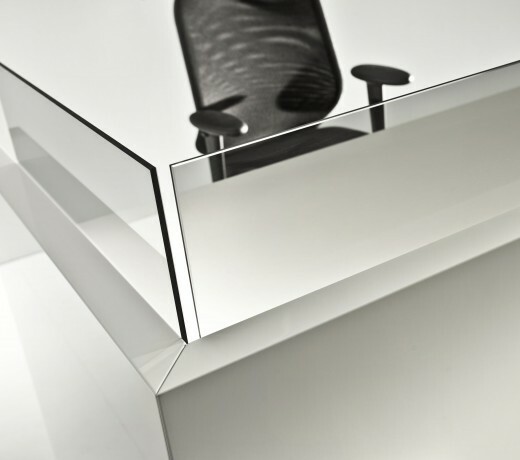 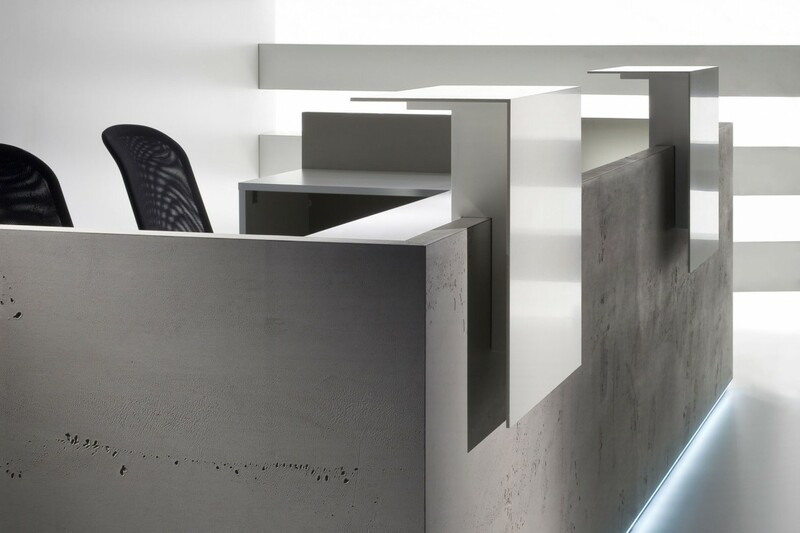 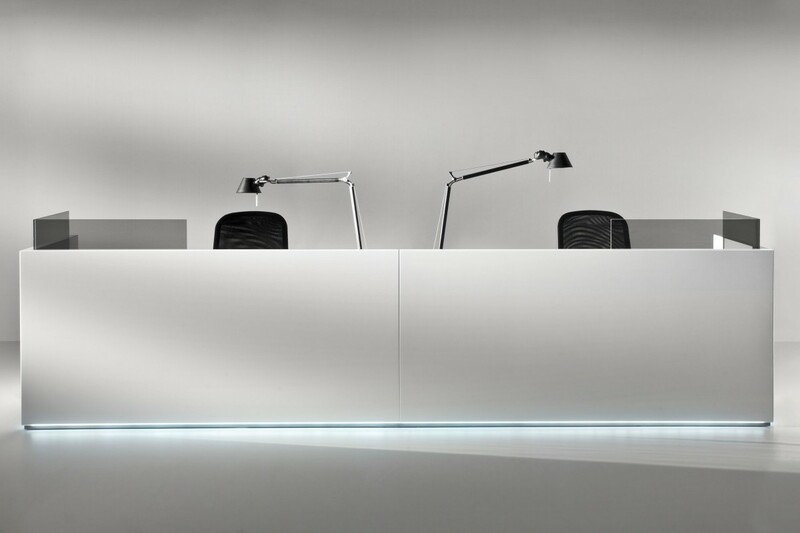 The most conspicuous feature of the counters, making them unique among the broad offer of the competition, is the lowered front in the standard version, showing the receptionist’s face, thus facilitating interpersonal contact. 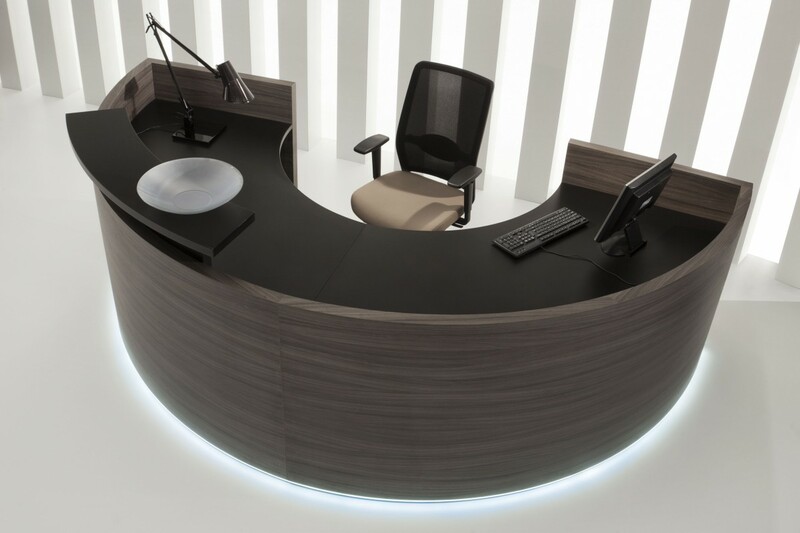 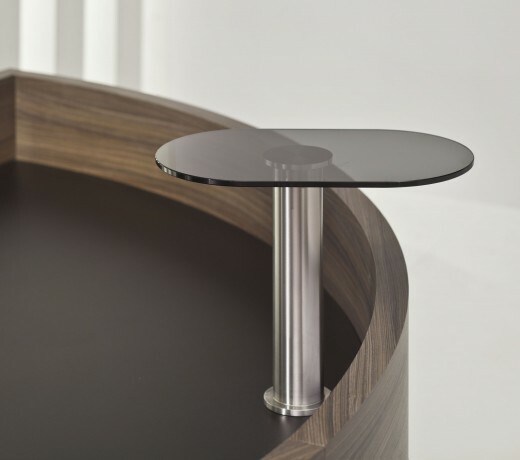 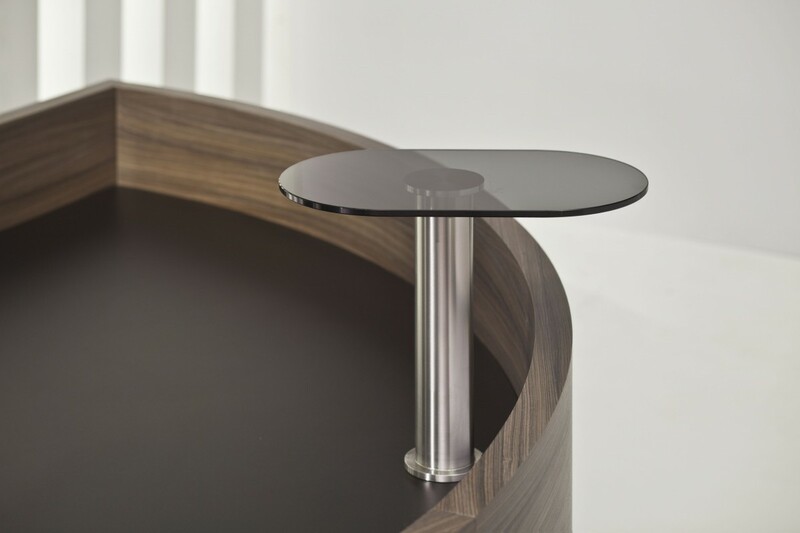 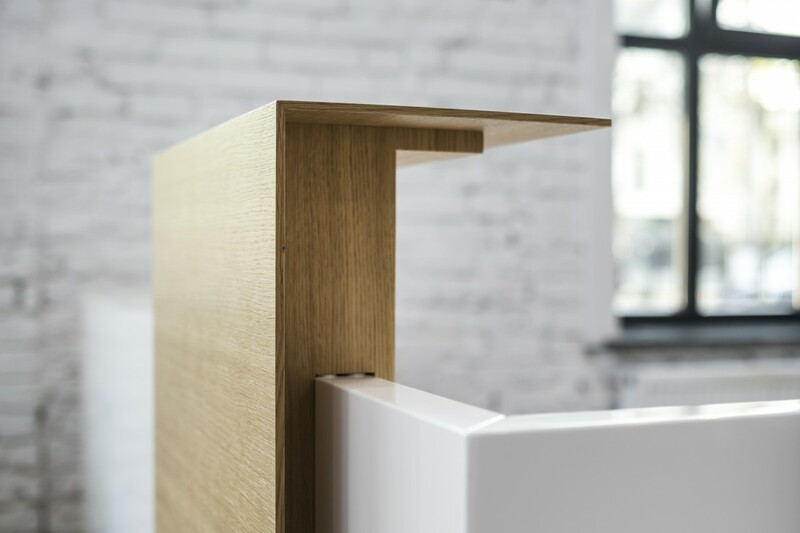 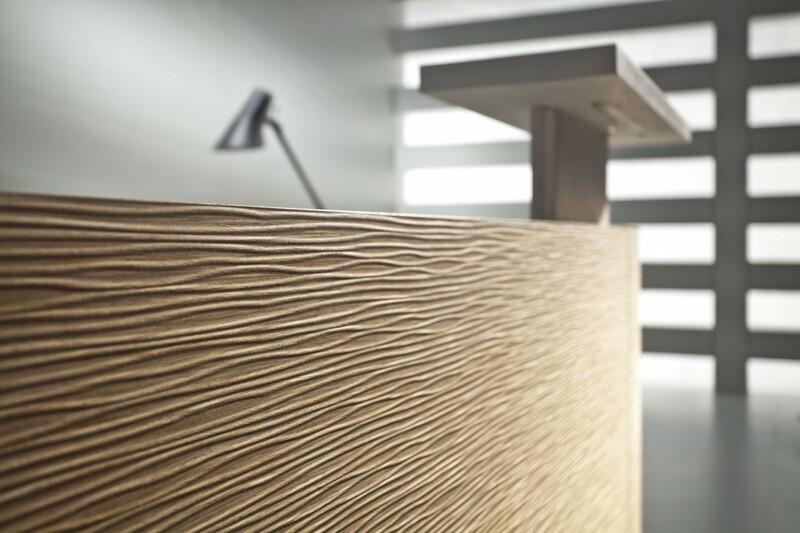 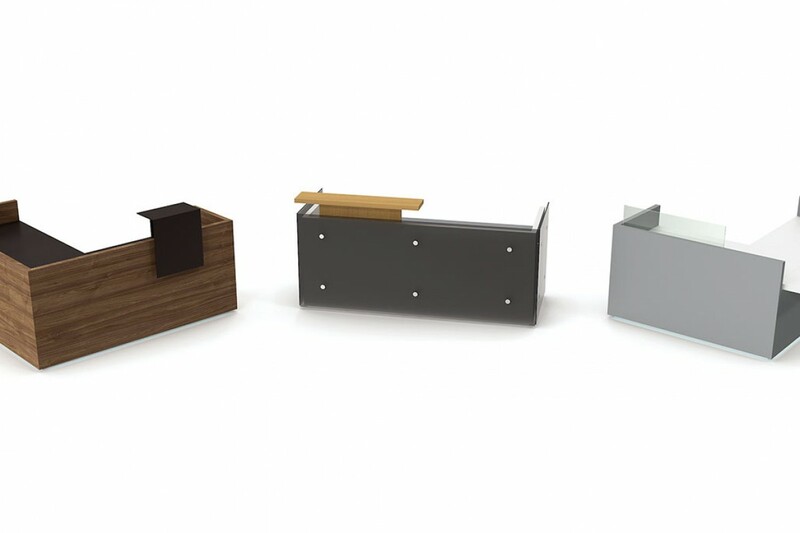 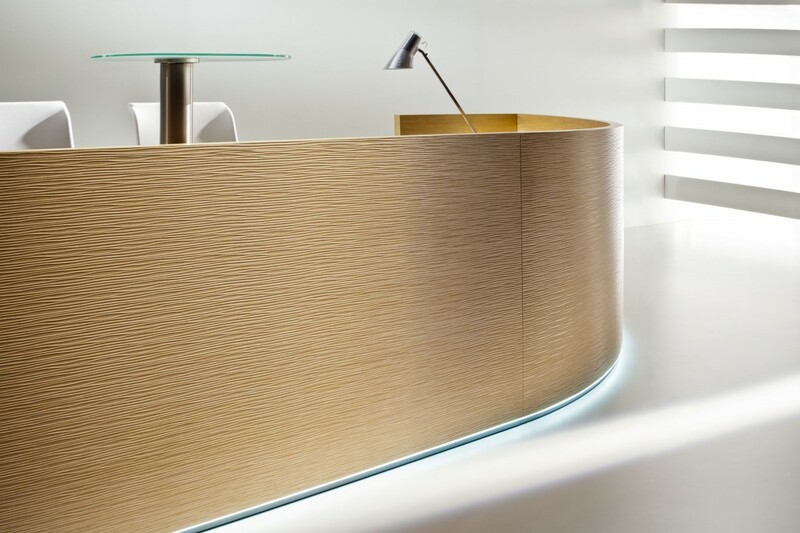 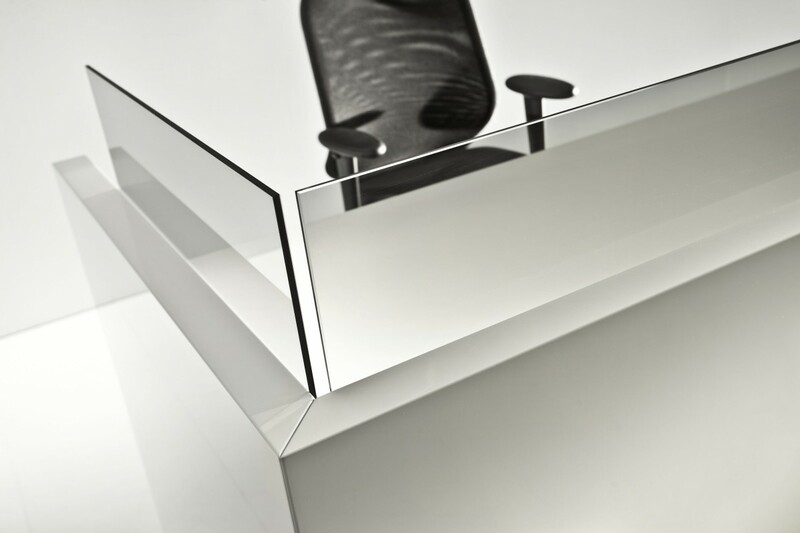 Such a form of the furniture communicates openness, integrity and hospitality of the company. 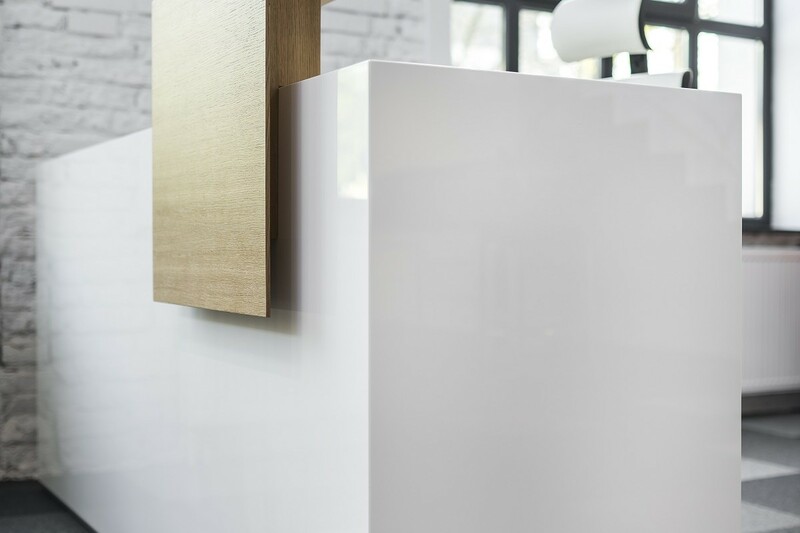 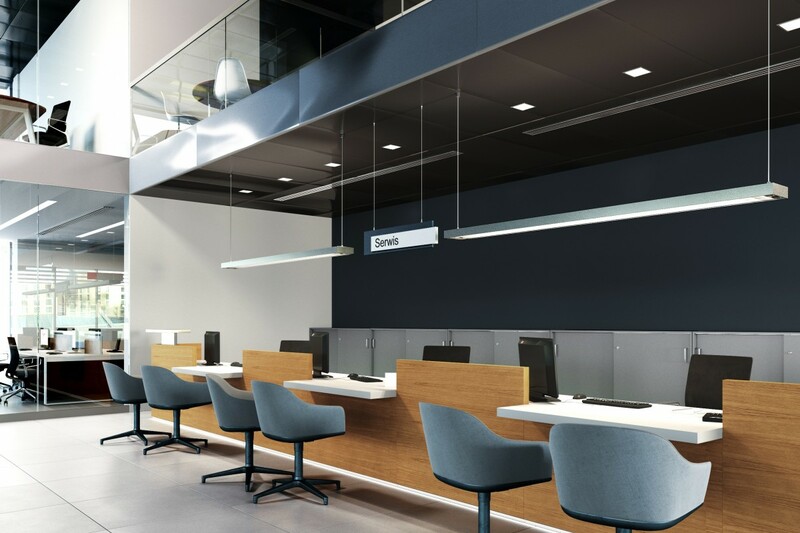 Free of redundant decorations and refined in their well thought-over proportions, the Furonto counters are characterised by a structure simplified to the maximum − they are made up of a top combined with a side wall.